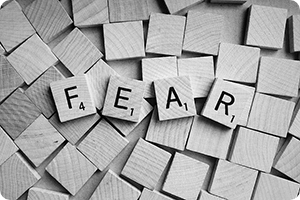 The term Anxiety describes feelings of Fear, Worry, Nervousness, or apprehension which is very often experienced by people when faced with something they perceive as Frightening. When a person is faced with something like, speaking to a group of people in public, a job interview, losing their job, or meeting new people, then these events can be looked at as being stress inducing events. Anxiety can be characterised by uncomfortable sometimes rather vague feelings of becoming unsettled in your self, and not really knowing remotely why. Apprehension, nervousness and feeling very unsettled in any number of different areas of life. It is always very helpful for a person to fully understand that anxiety is a very normal, and beneficial, reaction to a person who is experiencing stress. Anxiety is a healthy and adaptive way to cope with the various and many stresses and challenges in todays hectic and fast paced modern life. It’s very much something which is somewhat short-lived, although unpleasant it doesn't have a dramatic effect on a person’s life. When anxious feelings, like constant worry, trepidation and fear begin to impede on daily life on a regular basis, that seems just far too unreasonable and excessive, or have no obvious association with any type of external issues or problems, then it can turn into something a little more serious like an anxiety disorder. Anxiety is that awful personal feeling of impending danger and fear, accompanied by agitation restlessness, a feeling of tension, rapid heartbeat, and fast breathing that might or might not be associated with a certain set of events or situations. While most of the way correct, this particular definition does not really fully explain that anxiety is a normal human feeling, and in a lot of cases a life-saving reaction to possible or imminent danger. You're walking down the street, alone at night, you hear something behind you which is somewhat unusual as you live in a very quiet area.You begin to feel a little frightened, your thinking races with thoughts about what that noise is, do you run, or stand and fight. In this case, your anxiety might just be the one thing that saves your life. The footsteps you can hear behind behind you may simply be a family member who is out for a late evening run and poses no threat to you whatsoever. This is your body’s natural fight or flight response to the sound of footsteps that could save your life if the runner did actually present you with any kind of danger. Less extreme examples might simply be small life events such as an important meeting or a final exam, getting married or a small operation at the hospital. As your anxiety builds around the these issues it could cause you to work even harder or maybe take up yoga or look for advice or some form of therapeutic help. When you find yourself in these and many other types of life situations, anxiety is an exceptionally good and normal thing. If you have never felt anxious about achieving good results on your exams or having your work well received by your supervisor, you may not do at all well in school or work. Also if you take no real notice of footsteps behind you on a quiet, isolated street, you may not survive to see another day, or you may end being robbed of valuables.